I am soooo excited about this little boy that is about to join our family. 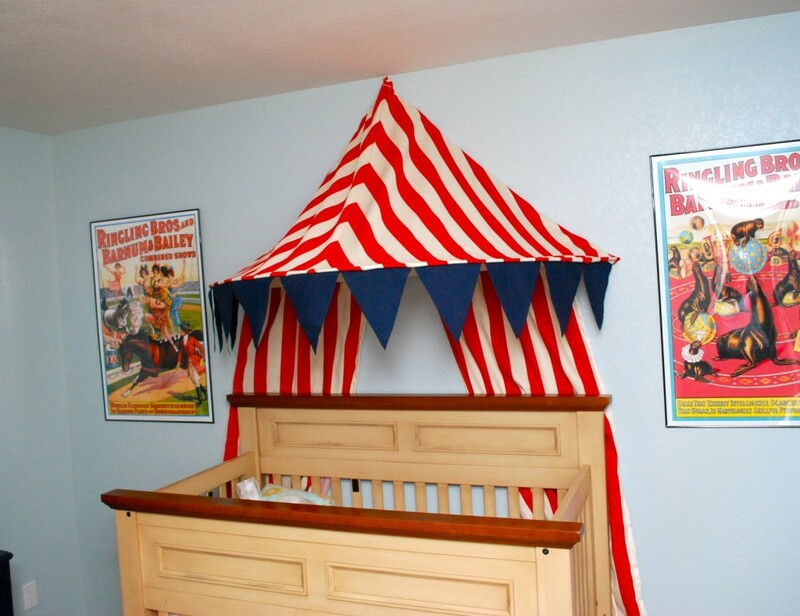 When I found out I was have a boy I knew I wanted to do a Vintage Circus themed nursery. I also knew I wanted to do some kind of tent in his room. This is just the start of the nursery I can’t show you the whole room yet because there are a few things that still need to be done. 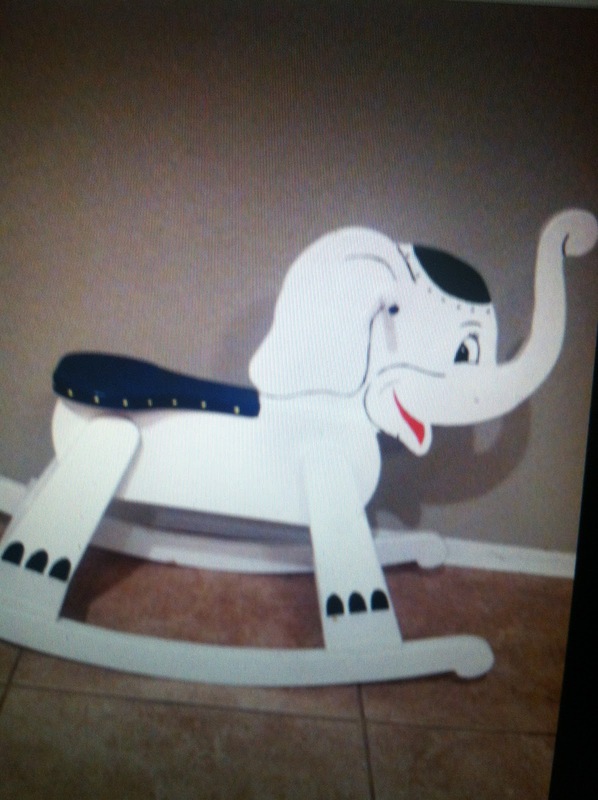 I found this cute little rocker at a little antquie mall. It was cute but not quite the look I was going for. I knew I wanted the elephant to be grey so I started off by spray painting the elephant grey. After I painted it grey, I found an image online and used my projector and I stated to paint away. I bought an Ikea canopy and took it apart and made my very own canopy. Glad I came upon this. I want to do a canopy in my daughter’s room for a carnival/fair themed room (but in pink). I love this canopy, but not the color scheme so I was actually looking for hacks where someone may have actually painted it…and then I found yours to just replace the fabric.